Tracy Blais (Tsui-Hsien Shih) at age 77, passed away peacefully with her family by her side on January 22, 2019 in Mesa, Arizona. She was born in Taichung, Taiwan, and moved to Arizona in 1975 with her husband. Tracy was a loving mother, grandmother, great-grandmother, wife, and friend, as well as a devoted Christian. She enjoyed decorating, meeting people, and ministering to others. Tracy is survived by her husband Raymond, son Hang Yi Wang (Albert), daughters Jowen Ko and Teresa Shin. 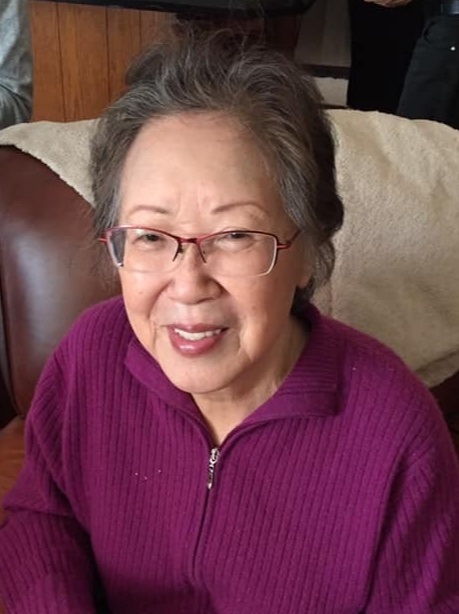 Her legacy will continue through her seven grandchildren Jonathan, Joy and Amy Wang, Benjamin and Elliot Ko, Aiden and Sophie, and her two great-grandchildren. A viewing will be held on Tuesday, January 29th from 6:00 – 8:00 PM. Funeral service will be held at 11:30 AM, Wednesday, January 30th with viewing 1 hour prior at Bunker’s University Chapel, 3529 E. University Drive, Mesa, Arizona. Sending our condolences to the family. Our hearts & prayers are with you all. May the beautiful memories of Tracy bring some comfort to all the family. Tracy was my special friend of 30 years. We met in church. She was kind and loving. We always had a wonderful time chatting about everything. Tracy was a devout Christian and she was ready to meet her Lord and Saviour at the end of her life. Tracy has always been a big part of my life. I have pictures of our church friends going to California. In 2013 Tracy, Ray and 16 of us took a cruise to New England for 8 joyous days. Our large of friends have celebrated all our birthdays every year for the past 10 years. I will truly miss talking and laughing on the phone and celebrating our birthdays together. I know Tracy is with her Heavenly Father and our Lord Jesus Christ. Dear Tracy, we heard a lot about you from Albert, he love you so much. We do believe you have been such a good role modeling of faithful Christen in his life. May you rest in peace in God’s hand.